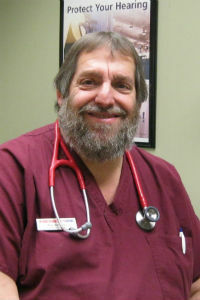 Alan Glickman is a licensed Family Nurse Practitioner with experience in numerous medical settings. Alan began his nursing education at Ulster Community College and continued on to receive his Family Nurse Practitioner license at the University of New York at Stony Brook. He has over 20 years of experience in emergency medicine, urgent care, primary care, and occupational health. He is also the president and founder of Glickman Productions, which offers seminars on the therapeutic use of humor. Alan has gained experience in many hospitals including: Ellenville Community Hospital, Benedictine Hospital, and St. Barnabas Hospital. He also worked at the Ulster County Jail in the prison health services department for 9 years. In addition to treating patients Alan also worked at the Northeast Center for Special Care as a staff and clinical education coordinator as well as Ulster County Community College where he worked in the E.M.S and paramedic programs division. Alan is also affiliated with the Emergency Nurse’s Association, New York State Nurse Practitioners Association, American College of Nurse Practitioner’s, American Academy of Nurse Practitioners, American Heart Association, and the American Cancer Society.